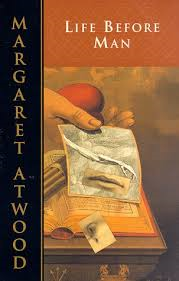 This is one of Atwood’s earlier novels and the plot revolves around an uncomfortable love triangle of a newly separated husband and wife (both having had affairs) and the new girlfriend of the then husband. The story also included a recently deceased boyfriend who’d committed suicide, two children (daughters of said couple) and a few hangers-on who tend to fall by the wayside on the way. Add to that the way that Atwood plays back and forth with time, and it’s quite confusing for the first half of the book. My recommendation if you should read this title: read this in big chunks. There is slim hope for following the plot and all the characters otherwise. Despite the complex inter-relationships of the characters, this ended up getting sorted out and being ok. I’m a fan of Atwood’s later fiction – the earlier works are a big uneven in parts – and this one fell right in the middle of the pack. Reading the first third of the novel, I wasn’t sure if that I was going to stick with it, but it grows on you like fungus and as you get a more complete picture of the characters, the story solidifies (at least it did for me). I would liken it to the old-fashioned process of making photographs in a dark room – the image becomes more defined as the read goes on. So, not a bad read and not a great one. It’s one off my TBR shelf of Viragos which I’ve carted around with me since the 1980’s so that’s cool. I’m (slowly) working my way through the shelf over time and it’s rather fun so far. This entry was posted in Uncategorized and tagged British, domestic, drama, Fiction by lizipaulk. Bookmark the permalink.